Kind of awesome to consider that poem's going to be hanging around a lot longer than any of us will. 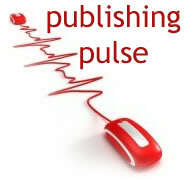 Come for the poetry, say for the publishing industry news! This week we've updated six agent profiles in our database. Please make sure you double-check every agent's website or Publisher's Marketplace page before sending your query. And congratulations to our newest QT success story, Jamie Gilman Kress! Did you ever wonder how much you'd earn as a senior editor at a big 5 publisher? And you thought it's taking you a long time to get published? JRR Tolkien's translation of Beowulf will be published after 90 years. What happens if your book series spawns a TV series, and the TV series is in danger of catching up to the written series? George RR Martin discusses. Janet Reid tackles the question of how long a time is too long. Five charts that show how publishing is changing. And in case you were feeling too good about yourself, there are neurological similarities beween successful writers and the mentally ill.
Jane Lebak is the author of The Wrong Enemy. She has four kids, three cats, two books in print, and one husband. She lives in the Swamp and spends her time either writing books or shoveling snow. At Seven Angels, Four Kids, One Family, she blogs about what happens when a distracted daydreamer and a gamer geek attempt to raise four kids. If you want to make her rich and famous, please contact the riveting Roseanne Wells of the Jennifer DeChiara Literary Agency. Hey Lebak, you want to stop making your Pulse posts so engaging? You're making the rest of us look bad. . .